Countdown calendar Christmas for kids. On this one you can stick cotton balls. This way at the end Santa will have a real beard! 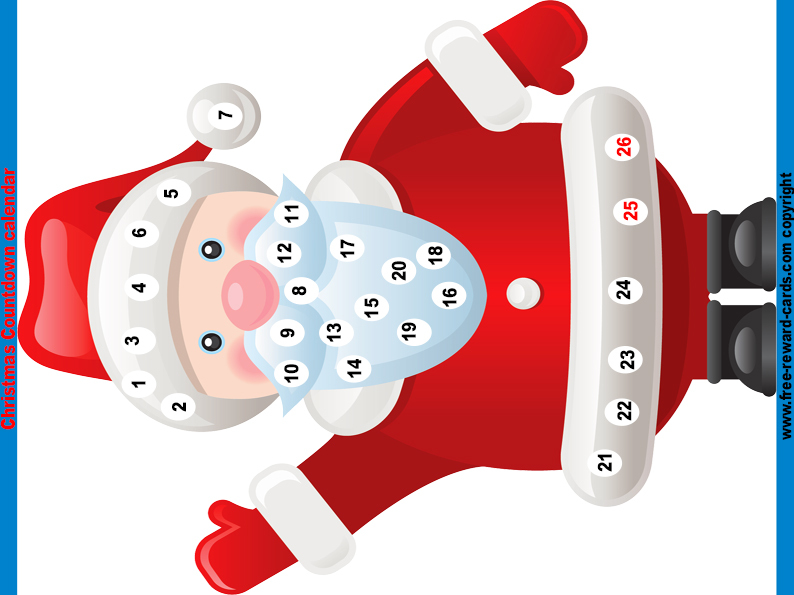 All these really nice countdown calendars are free printable via www.free-reward-cards.com in English. The cards are ment to make parenting more fun and easy for both parents and children.